Power of the Pen is a monthly event brought to you by Just Harvest. This month’s event is cosponsored by Pittsburgh UNITED and members of the Workers Organizing Table. Speaking out is a way to exercise your rights. Speaking out effectively is a way to change the world. 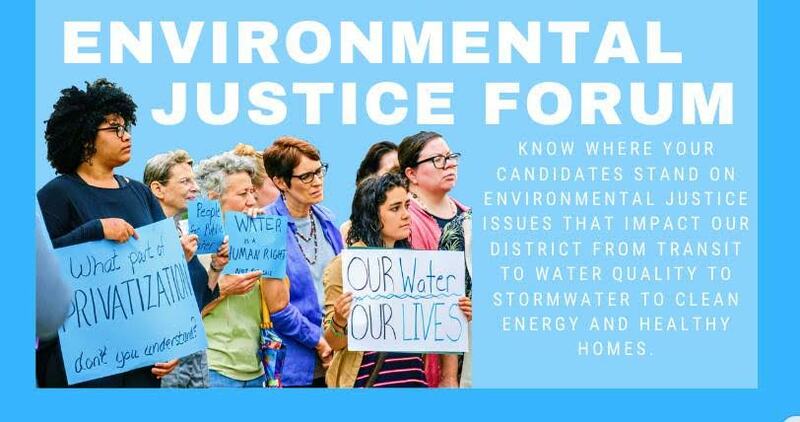 Coordinated letter writing to those in power is a proven way to make progress on critical issues. So join us for Power of the Pen. Each month we’ll discuss a key policy issue that’s causing hunger and economic hardship in Allegheny County. Then we’ll write letters to government officials and newspapers calling for change. This month’s focus: Pennsylvania’s minimum wage of $7.25/hr is a poverty wage. At its peak value in 1968, the earnings of one full-time worker at minimum wage was enough to support a family of three. That is no longer the case. 29 other states, including PA’s neighbors, have given up waiting on Congress to raise the minimum wage and have done so themselves. 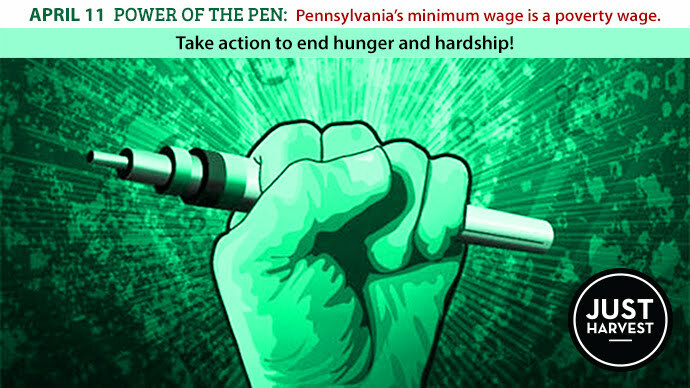 Pennsylvania needs to join them while we continue to push for a true living wage at the federal level. Governor Wolf’s state budget proposal includes an immediate minimum wage increase to $12/hr and ultimately to $15/hr. This is an opportunity we can’t pass up — PA workers need a raise now! All you need to bring is a willingness to put pen to paper to share your perspective of how low wages affect you or your community. Dept. of Human Services Bldg. Child care for children age 2 and older is available to registrants. Free parking is available in the building’s attached lot. Enter from Fort Pitt Blvd.